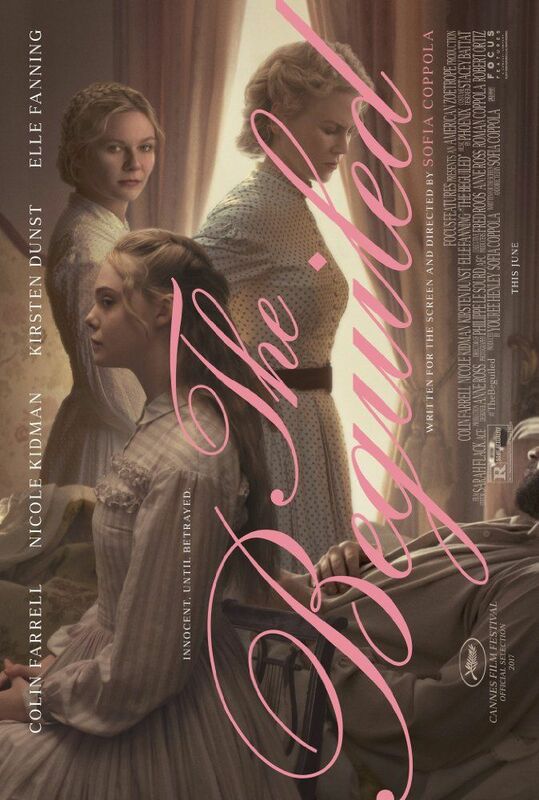 The Beguiled is a 2017 American drama film written and directed by Sofia Coppola, based on the novel The Beguiled (originally published as A Painted Devil) by Thomas P. Cullinan. It stars Colin Farrell, Nicole Kidman, Kirsten Dunst, and Elle Fanning. A film of the same name, also based on Cullinan's book, was released in 1971. Read more on Wikipedia.